Lynn Garbers, President of Eagle Achievements, shares her story from being an enterprising kid at the age of 8 to having a business and becoming a successful coach. She has educated herself through the process and has gone through several career switches before ending up doing what she really loved. And in this episode, she shares with us her interesting journey that led her to where she is today. Lynn’s background and the services she offers. Her interesting job and entrepreneurial history. Her turning point to having her own business and the story of how she became a coach. The strategies she uses in her services. A background on her clients. Lynn’s advice for people who want to develop their career. Marketing expert Andrew Ford, the founder of Social Star, has discovered the secret of ‘Powerful Branding’. With a fire for unleashing people’s inner brand and developing business models to generate profit from an individual’s passions, Andrew leverages ground-breaking digital and social media marketing techniques to create digital strategies for clients to attract maximum opportunities. Having established a strong name for himself in the field, Andrew blends traditional business techniques with now-necessary tools for entrepreneurs to achieve scale, quality, and influence in their niche. Andrew’s comprehensive business background and qualifications consist of a Bachelor of Business (Marketing) (RMIT 2003), a Graduate Certificate in Management (MBA Executive Program, University of Sydney 2005), and a Masters of Entrepreneurship and Innovation (Swinburne University 2011). Continually on the cutting edge of his own education, Andrew has tested his marketing theories in forums such as the BCG Business Strategy Competition, which he won in 2005 against all Victorian MBA schools, and the Venture Cup Business Plan Competition (Swinburne University 2003), which he won in the Masters category. With experience working at Hewlett-Packard, Sensis (Telstra) and IBM, Andrew also has mentored dozens of junior staffs to help them achieve their professional goals. Meeting and influencing high-profile public figures helped Andrew to realise just how many professionals require more understanding and control of their public brands or appearance, and need help with the skills to use the many amazing free tools at their disposal to generate success. At Social Star, Andrew consults with clients to uncover their personal brand – both where it is today and where it can be tomorrow – and refine and define how that should be displayed in social media in order to attract their perfect target audience. Andrew mentors his clients to rapidly grow their business’ audiences, resulting in larger potential client bases and higher revenue. Applying formulas that integrate over twenty years of Andrew’s business experience and fifteen years of formal business education, Social Star specialises in building clarity and velocity for clients’ brands using the ‘Understand, Build and Leverage’ methodology. ‘Having a Personal Business enables people to have an authentic, congruent connection with their valued clients and partners, using their brand as the bridge,’ says Andrew. ‘I’m highly driven to work with the new breed of entrepreneurs and small business owners – people who have a passion for making the world a better place. Traditional business models are stepping aside as people follow their innermost dreams and my role is to see them operate within their values while creating wealth. Some people think you have to sacrifice what you love to be successful in your business, yet it is actually the opposite. Follow your passion and success will come.’ Lecturing at Swinburne University from 2009 to 2011 on brand dynamics and digital marketing, presenting at numerous conferences, and consulting to hundreds of clients, Andrew has seen his philosophy work that if you follow your unique path, based on your skills, experience, values and goals, you will automatically attract the opportunities you desire and achieve the success you deserve. Living his mantra, Andrew has created a successful business and attracts high-profile clients including musicians, athletes, authors, models, entrepreneurs, professionals and small business owners, helping them find their ‘why’ in their business and fulfilment in their lives. Business for Andrew is more than work, it’s personal. Running a personal business means that he is able to fulfil all of his values rather than separating his life from work. It supports his two boys while providing social opportunities, educational development, fitness opportunities, spiritual fulfilment and many valuable friendships. 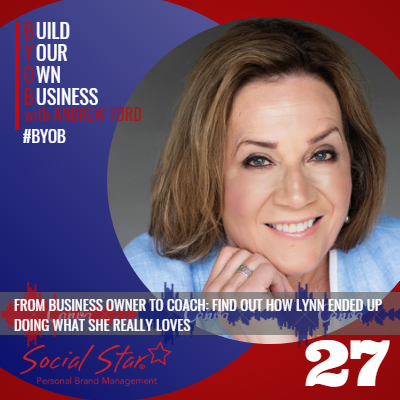 Social Star has now become the vehicle for Andrew to crystallise his mission in the world, to help people love what they do, supporting his ‘why’, that if more people loved what they did, the world would be a better place. It's me birthday...and like 50 cent says "We gon' party like it's yo birthday"